Thinking of taking a holiday trip to Mauritius? Well, you’ve obviously heard or read about the many beautiful attractions on the island. Catamaran cruises and tours have been there to provide more than the exceptional view of the attractions on the island. What even amazes is with the variety of activities – no one misses what to do! With your family on board, you are sure to have maximum fun and once-in-a-lifetime sightseeing experience. Furthermore, Mauritius is known for its mild tropical maritime climate all year round. Even during the winter, the temperature just drops from being relatively hot to balmy. All these are geared towards taking the catamaran cruise experience to real ecstasy. Perhaps it is essential to know some of the popular and mirthful activities one can take on during the tour. Begin with the exclusive private tours with which individuals or groups of people can use. There are several of such private catamaran cruises with each tailor being as per individual’s desire and preference. The fleet of the catamaran vessels available is composed of both the large catamaran vessels, which can obviously accommodate a whole lot of people (normally a maximum of 58 heads) and the small catamaran cruises which could carry relatively less number of people. Another dumbfounding adventure is swimming with dolphins and watching the whales in their natural aquatic habitat. This is normally done by watching them from perhaps the cruising vessels or by observing them in the open sea. There are a number of trips on the West Coast of the island to watch these astonishing marine mammals. Notably, all the trips are guided by professionals so as to avoid disturbance of their habitat and the daily lives of this marine life. The trips do comprise of 2.5 hours dolphins swimming adventure, dolphin swimming safari which is a day package, full-day dolphins trip, whales and dolphin combined trips among several others. 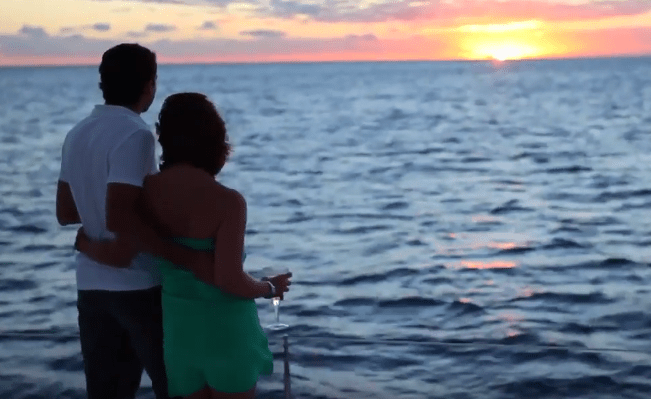 The sunset catamaran cruise along the north coast of Mauritius is another exhilarating activity that one ought not to miss. As the sun sets, it creates a beautiful, attractive, and a calming sight – which overly lures one to a memorable moment of rumination. It would be pretty much suitable for couples, partners, friends or even family and anyone else. 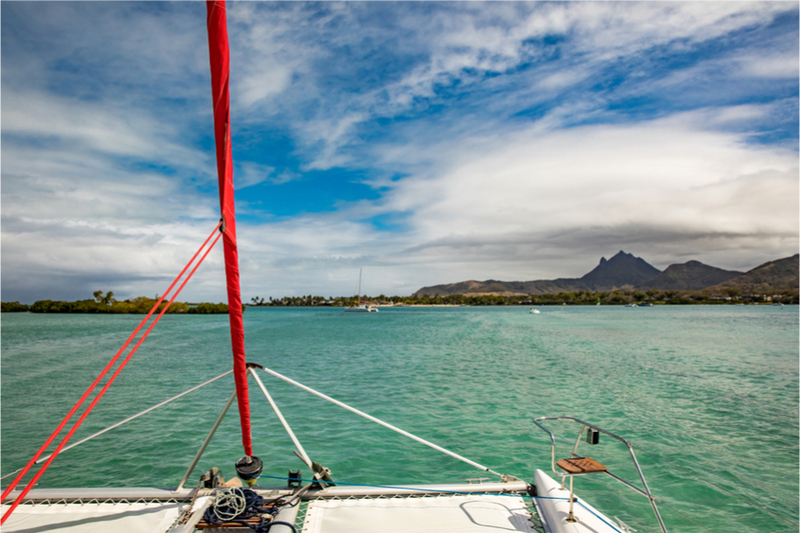 The north coast catamaran cruise normally departs at 1700hrs from the Grand Bay located at the north of Mauritius and arrives back at about 1900hrs. Accompanying the beautiful sunset is great background music, snacks, drinks and some special cocktails. Then there is the catamaran cruise that leaves at 0900hrs at the Grand Bay which offers another indelible experience. For about 1.5 hours, the cruise sails to Gabriel Island which is one of the most beautiful and unspoiled beaches on the island. A BBQ lunch buffet is normally set at around 1230hrs on the beach or in the catamaran. The cruise will then pass by an astonishing lagoon where people swim and snorkel. Once in a while, during the excursion, the boat might need to stop so you can watch the whales. The cruise is expected back Grand Bay at 1600hrs as those on board enjoy light snacks.